Health concerns related to air pollution in large cities have been voiced repeatedly over the last decades. This paper uses two approaches to describe particulate matter (PM) levels in 56 of the largest cities of the world. One is based on data from PM monitoring, collected from various sources by the World Health Organization. The other is based on the combination of atmospheric modelling, satellite remote sensing and surface monitoring data. According to both sources of information, at least 96 % of the populations of the large cities are exposed to PM2.5 exceeding World Health Organization (WHO) Air Quality Guidelines levels. The cities with the highest PM concentrations and the lowest rates of air quality improvement over the past decade tend to be in countries at lower levels of economic development. Addressing local pollution sources, including transportation and solid fuel combustion for cooking and heating, may be effective in cleaning the air of the most polluted and less economically developed cities. The proportion of the global population living in urban areas has been increasing steadily over the last several decades, with the largest recent increases occurring in low-income and middle-income countries. Much of this urbanization is taking place in urban areas with 1–5 million inhabitants, but mega-cities, with populations of 10 million or more, contribute importantly to this trend and face unique challenges related to human health . Globally, air pollution is the most important environmental health risk [2•], and levels of particulate matter (PM) and most other health damaging pollutants are higher in urban than rural areas due to the concentration of major emissions sources. The large number of pollution sources concentrated in an area with dense housing, traffic and industry may result in high pollution levels, especially if the pollution control lags behind the city growth. The specific concern with air pollution in the large cities of the world has been reflected by numerous monitoring campaigns and reports published for the past few decades [3, 4]. With the increasing evidence on health effects of air pollution, especially of airborne particulate matter, measured as mass concentration of particles less than 10 (or 2.5) micrometres (PM10 or PM2.5), more recent air quality assessments have provided better and more relevant information on the magnitude and severity of the urban air pollution problem in developing countries . Based on these data, and supported by an econometric model enabling estimation of PM2.5 levels in all cities with populations greater than 100,000 people, the first estimate of the global burden of disease attributable to urban air pollution was produced in 2004 . This analysis estimated 800,000 premature deaths per year attributable to particulate matter, with more than two-thirds of this burden occurring in the rapidly developing economies of Asia. The assessments of air pollution status and health impacts were followed by more detailed analysis of pollution sources and distribution, as well as activities to reduce pollution in the mega-cities [7, 8, 9, 10]. They noted that the lessons learned in developed countries curbing their pollution problems may bring progress in other mega-cities of the world . Recent studies have indicated that satellite-based estimates and high-resolution air quality models can complement surface monitoring data to fill in temporal and spatial gaps, even in high income countries with dense monitoring networks [12, 13, 14, 15]. This approach was utilized in the Global Burden of Disease 2010 (GDB 2010) [16•] and allowed for the estimation of exposure throughout the world, including rural areas and those regions where little or no surface monitoring data were available. This assessment reported that ambient particulate matter was the ninth (of 67) largest risk factor for disease burden [2•], and the fourth highest ranking risk factor in East Asia, the sixth in South Asia and the seventh in North, Western and Sub-Saharan Africa, as well as in the Middle East. We used the GBD2010 exposure estimates as well as recently collected surface monitoring data to assess air pollution concentration in mega-cities. We also explore associations of the PM2.5 estimates with basic characteristics of the city. A “Megacity” is most often defined as “a very large city, typically one with a population of over ten million people” . Using UN databases , we identified 23 cities of this size, inhabited by a total of 359 million people in 2011. We extended our analysis to include all 55 cities with population over 5 million people in order to analyse relationships between pollution estimates and city characteristics. In addition, we specifically added Johannesburg with ca. 4 million people in 2011 to increase the number of African cities included in the analysis database. The total population of these 56 cities was 608 million. All cities included in the analysis are listed in Fig. 1. Surface monitoring data used in this analysis are taken from the World Health Organization (WHO) database . The primary source annual mean PM10 and PM2.5 concentrations in this database are official national/subnational reports, national/ subnational web sites or concentrations reported by national institutions. Measurements reported by regional networks such as the Asian Clean Air Initiative  for Asia, and Airbase  for Europe were also included. In the absence of data from the above sources, data from (a) UN Agencies, (b) Development agencies and (c) articles from peer-reviewed journals were used. Annual mean concentrations of PM10 or PM2.5 for each city were calculated as an average of annual mean concentrations from urban measurements characterized as urban background, residential areas, commercial and mixed areas where such information was provided. Stations characterized as hot spots, traffic sites or those in exclusively industrial areas were not included, unless they were contained in reported city means and could not be dissociated. This selection aimed at capturing values broadly representative of human exposure. For cities with PM10 reported as the only monitored PM parameter, PM2.5 concentrations were estimated from PM10 measurements using national conversion factors (PM2.5/ PM10 ratio) estimated as population-weighted averages of city-specific conversion factors for the country. City conversion factors were obtained if PM2.5 and PM10 values estimates were available for the same year only for a given city (or station). If conversion factors were available for many monitoring stations within a city, their mean was taken as the city conversion factor. If national conversion factors were not available, regional ones were used, obtained by averaging available country-specific conversion factors. As described in Brauer et al [16•], PM2.5 exposure estimates used in GBD2010 analysis were based on a combination of estimates provided by global chemical transport model TM5, and estimates from remote sensing and calibrated to available surface measurements. The two-way nested TM5 model was run at a 1 × 1 degree resolution over four major world regions, fed with year 2005 emissions from the GAINS emissions data base. The output was consequently refined to a 0.1 × 0.1 degree (corresponding to ca. 11 × 11 km on the equator) resolution using spatial information on population density as a surrogate for sub-grid spatial patterns in emissions. Satellite-derived PM2.5 estimates were based on the observations of the Aerosol Optical Depth (AOD) provided by the National Aeronautics and Space Administration (NASA) from two instruments (MODIS and MISR). The ground level PM2.5 concentrations were estimated at 0.1x0.1 degree resolution from AOD using its relationship with the PM2.5 estimated by chemical transport model (GEOS-Chem, v8-01-04). The averages of the TM5 and satellite-derived estimates (AVG) were entered into a regression model with the surface monitoring data for the year 2005 (PM2.5 from monitoring or estimated from PM10) available for some 0.1 × 0.1 degree grid cells. Final concentration estimates for each of the 0.1 × 0.1 degree grid cells were estimated from the obtained regression equation (PM2.5 = 1.32*AVG0.992). The mean concentration for each city was calculated as a population weighted average of the PM2.5 estimated for all grid cells overlapping with the city boundaries using the Universe of Cities city footprint database . This database includes 3,646 named large cities and metropolitan areas with populations > 100,000, and together accounted for a total population of 2.01 billion people in 2000. City footprints were based upon satellite images of land cover in large cities. PM2.5 measurements were only available for 16 of the 56 cities. For a further 36 cities, PM2.5 concentrations could be estimated using national or regional conversion factors (ranging between 0.33 in Teheran to 0.72 in Paris). The estimates based on GBD2010 model were available for each of the considered cities except Shenzhen, which was integrated with the greater Guangzhou conurbation in the GBD2010 Universe of Cities database. Annual mean of PM2.5 from monitoring data ranged from 11–14 μg/m3 in Madrid and several US cities, to 135 μg/m3 in Dhaka and 169 μg/m3 in Delhi (Fig. 1). Modelled estimates of PM2.5 ranged from 8 to 14 μg/m3 in several South American cities, in Manila, Madrid and Moscow, and were highest (from 71 μg/m3 up to 128 μg/m3) in several Chinese cities. The annual mean PM2.5 based upon measurements were relatively better correlated with several city characteristics than those based on modelling, which could have been expected, considering substantial differences in the values of PM estimates based on each method and in the resulting ordering of the cities (Table 1). PM levels tended to increase with population density in the cities. This correlation improved (to R = 0.56) when two outliers, Delhi and Hong Kong, were removed from the analysis. The PM2.5 concentration in Delhi was unusually high for its population density, while the opposite was observed for Hong Kong. The relationship between population density and PM2.5 estimates based on the model was less pronounced than that for monitored PM (R = 0.22). However, this was due, to a large extent, to the high, as per population density, estimates for all Chinese cities. For all remaining cities, based on modelled PM2.5 , this correlation was 0.42. Monitored PM2.5 annual means were also moderately correlated with per-capita dilution rate (defined as per capita harmonic mean of ventilation air flow rate through the city ). Monitored PM2.5 levels tended to be higher in cities with higher intra-urban intake fractions for primary pollutants (the fraction of local emissions that are inhaled by an exposed population ). Monitored PM2.5 levels tended to decline with the overall level of development of the city measured by the city gross domestic product (GDP, extracted from Wikipedia ), city GDP per capita or national level of GDP per capita . Power functions fitted the associations well. In all cities with GDP over 40,000 USD, monitored PM2.5 was below 25 μg/m3 (Interim Target 2 of WHO Air Quality Guidelines ). In the range of 20,000 to 40,000 USD, the mean PM2.5 ranged from 12 to 56 μg/m3. In cities with lower GDP per capita, PM2.5 levels ranged from 22 to 169 μg/m3. The slope of the PM2.5 line was the steepest for the cities from Southeast Asia and the least steep for American cities. Though the information on the type of fuel used in urban areas was available in WHO Global Health Observatory  for some of the countries only, and only as national rates, both the monitored and modelled PM2.5 levels were moderately correlated with the percentage of households using solid fuels for cooking. Using the GBD2010 database, we also explored relationship between estimated concentrations in 2005 and those estimated for 2010 through exponential extrapolation of the 1990 to 2005 trend of modelled PM2.5 levels (which generally reflected changes in emissions) (Fig. 2). For 25 of the 55 cities (Shenzhen was not included), there was a trend of increasing concentrations, with increases exceeding 10 % estimated for Karachi, Hangzhou, Shenyang, Wuhan and Nanjing. More than 10 % decreases in pollution were estimated for Johannesburg, London, Paris, Los Angeles, Moscow and Hyderabad. Overall, there was a tendency for a decrease of the pollution levels with growing country GDP (R = 0.40). In all cities of countries with GDP over 12,000 USD, PM2.5 estimates decreased, but this was not the case for many of cities in less affluent countries. It should, however, be noted that the changes between 2005 and 2010 in city mean PM levels presented here may be different than those based on monitoring data. The GBD2010 model, using satellite observations as well as information about remotely sensed urbanized land area for each city , enables exploration of the spatial distribution of pollution in and around the large cities analysed here. For a number of cities, the urban increase of pollution is clearly reflected by the models (e.g., Sao Paulo and Mexico City in Fig. 3). However, for several other cities, such as Beijing and Delhi, increased PM2.5 levels might spread far outside the city borders. Both sources of information on PM concentration used in this paper indicate that most (at least 96 %) of the populations of the largest cities of the world are exposed to fine particulate matter in concentrations exceeding WHO Air Quality Guidelines. The highest pollution levels, and health burden related to it, are in cities of Southern and Eastern Asia. In those highly polluted regions, the elevated exposure levels are not confined to city boundaries, but often affect populations in areas adjacent to the city. The use of two sources of data demonstrates the potential limitations of each of them. The GBD2010 model used a relatively limited set of monitoring data for model calibration, with most of the measurements originating from North America and Western Europe . The update of these estimates for GBD2013 will include a larger number of measurements, which may provide a better calibration of the model in other regions. The estimates of PM2.5 based on surface monitoring were based, for most cities, on PM10 data. The conversion of PM10 to PM2.5 was often based on very limited information, increasing the uncertainty of the monitoring estimates. For example, a recently published study conducted in Beijing  indicates a ratio of PM2.5 to PM10 equal 0.73, which is significantly higher than the regional conversion factor of 0.46 used for all Western Pacific Region countries in this analysis. The average PM2.5 in the centre of Beijing during the period of study (2004 to 2008) reported by Guo et al. was 105 μg/m3, which is closer to the GBD2010 model estimate (91 μg/m3) than that estimated from PM10 monitoring (56 μg/m3). The level of development of a city or country explains relatively well the monitored level of particulate matter across the cities, with less pollution in more developed countries. This fits well the model postulated more than two decades ago , where the pollution is growing with the level of development even for some time after the emission controls are introduced. Further development associated with pollution control results in a decline in pollution. The maximum pollution level reached depends on the stage of development at which the controls are introduced: it is low if intervention occurs at an early enough stage of the development. In the current data, relatively clean cities can also be found among middle or low-income countries. Large variation in pollution levels among low-income countries suggests that much-needed improvements in air quality may also be achieved in early stages of economic development and independently from the increment of economic status. Such improvements require effective interventions to address solid fuel use in households for cooking and heating, trash burning in neighbourhoods and landfills, as well as cottage industries, brick kilns and other small-scale sources. Such sources typically fall outside the scope of regulations and often lack engineered emission controls. The correlation of air quality with intake fraction suggests that a substantial part of the pollution affecting city residents is produced in the city. Therefore, action on an urban scale may be effective in cleaning the air. This report has focused on the world’s largest urban areas, but most urbanization is occurring in smaller conurbations in low and middle-income countries . These urban areas are less likely than mega-cities to have well-established air quality monitoring networks, and although this situation is improving in some countries, China most notably, the prospects for the establishment of such networks in African cities and other highly polluted areas are at best uncertain. This underscores the need to further develop the capacity for satellite-based monitoring capable of providing urban-scale estimates in rapidly urbanizing settings. On-going projects, such as the Surface PARTiculate mAtter Network (SPARTAN)  contribute to the progress in this important area. The tools and methods for assessing air quality in mega-cities and for quantifying substantial impact of air pollution on health are developing rapidly. However, the conclusions of the current assessments are not much different from those of studies conducted two decades ago, resulting in calls for more effective actions to curb air pollution and reduce its health impacts. While there are good examples of decoupling economic growth from the progress in air quality, many cities are evidently pursuing the line of development, with little or insufficient attention being paid to their air quality and residents’ health. The views expressed in this article are those of the authors and do not necessarily represent the decisions or the stated policy of the World Health Organization or the opinions of the Health Effects Institute (HEI) or its sponsors. Michal Krzyzanowski, Joshua S. Apte, Sophie P. Bonjour, Michael Brauer, Aaron J. Cohen, and Annette M. Prüss-Ustun declare that they have no conflict of interest. Oxford Dictionaries http://www.oxforddictionaries.com/definition/english/megacity. Accessed 18 Jan 2014. World urbanization perspectives. The 2011 Revision. United Nations. New York 2012 http://esa.un.org/unup/pdf/WUP2011_Highlights.pdf. Accessed 12 June 2014. World Health Organization. Outdoor air quality database [Internet]. Geneva: WHO; 2014. 2011 version available from: http://apps.who.int/gho/data/view.main.AMBIENTCITY2011?lang=en. Accessed 12 June 2014. Clean Air Initiative for Asian Cities (CAI-Asia) Center. Ambient Air Quality Standards in Asia Survey Report. CAI-Asia; 2009 http://cleanairinitiative.org/portal/system/files/AQ_Standards_Report_Draft_2_Dec_FINAL.pdf. Accessed 13 June 2014. European Environment Agency. AirBase: public air quality database - Air pollution [Internet]. Available from: http://www.eea.europa.eu/themes/air/airbase. Accessed 12 June 2014. List of cities by GDP. Wikipedia 2014 http://en.wikipedia.org/wiki/List_of_cities_by_GDP. Accessed 12 June 2014. GNI per capita, PPP (current international $). The World Bank http://data.worldbank.org/indicator/NY.GNP.PCAP.PP.CD. Accessed 12 June 2014. World Health Organization. Global Health Observatory [Internet]. Geneva: WHO, 2014. Available from http://apps.who.int/gho/data/node.main.134?lang=en. Accessed 12 June 2014. Brauer M, Amann M, Burnett R, Cohen A, Dentener F, Ezzati M, Henderson S, et al. 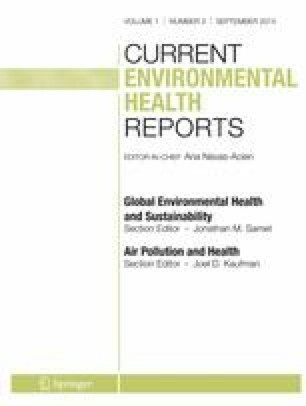 Exposure assessment for estimation of the global burden of disease attributable to outdoor air pollution. Environ Sci Technol 2012, 46. Supporting information http://pubs.acs.org/doi/suppl/10.1021/es2025752/suppl_file/es2025752_si_001.pdf. Surface PARTiculate mAtter Network (SPARTAN) (http://fizz.phys.dal.ca/~atmos/martin/?page_id=40). Accessed 12 June 2014.